the level of poverty and desperation, Mom and Sakoeun immediately wanted to set up their own organization, not only to get the children out of poverty and provide them with a good home and education, but also to help the community develop its village. At the time Mom was working for an organization helping street children in Siem Reap. Her boss thought she was mad trying to set up the organization on her own, but he supported her anyway and to this day, is a good friend. Mom and Sakoeun managed to find financial support to start them off, and CDO was born. Unlike many organizations in Cambodia, we’re not only providing a loving family environment with good care and education for children that would otherwise be living in poverty. We also want to help the remote rural village where they come from become self-sustainable and stop the cycle of poverty that currently exists in so many rural areas of Cambodia. We have two major running projects, the CDO family home project (in Siem Reap) and the Leap Chass community village project. CDO is a family, and provides an environment with love, care and nurturing. The children treat each other as brothers and sisters and look out for each other. We want to provide our children with a better life and education than what they would receive if they were still living in their remote village. We know that these children are the future of Cambodia, and giving them good future prospects will give them a chance to be a part of developing this country. At CDO we encourage the children to remain in contact with their biological and extended families, most of which are at Leap Chass village (40km outside Siem Reap). 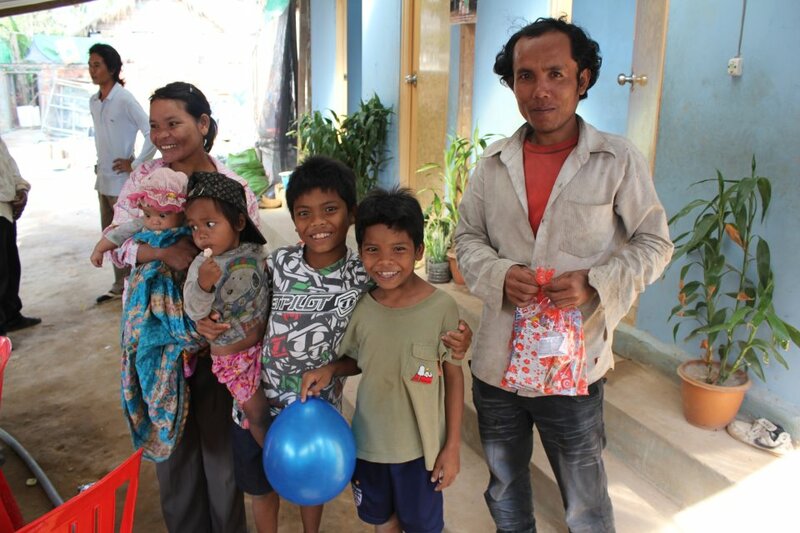 The children are reunited with their families several times a year so they are able to see siblings and parents. Sometimes Sakoeun arranges for some of the children’s fathers or older brothers to come to CDO to help with the building work. Parents are always proud to see their children and know they are being well cared for and receiving the education they would otherwise miss out. These trips provide a vital part of the children’s health and well-being, and allow the children, siblings and parents to remain as a family. The children can keep in touch with their roots and also get to see how CDO is helping Leap Chass Village community to develop, to eventually become self-sustainable and no longer live in poverty.